The Tolland Public Library Foundation is pleased to announce that it has received a $36,000 bequest from the late Lois Barlow Cox Query, a beloved library patron and Tolland community activist. The unrestricted gift will be used to support library initiatives and programs that are not covered by the town budget. 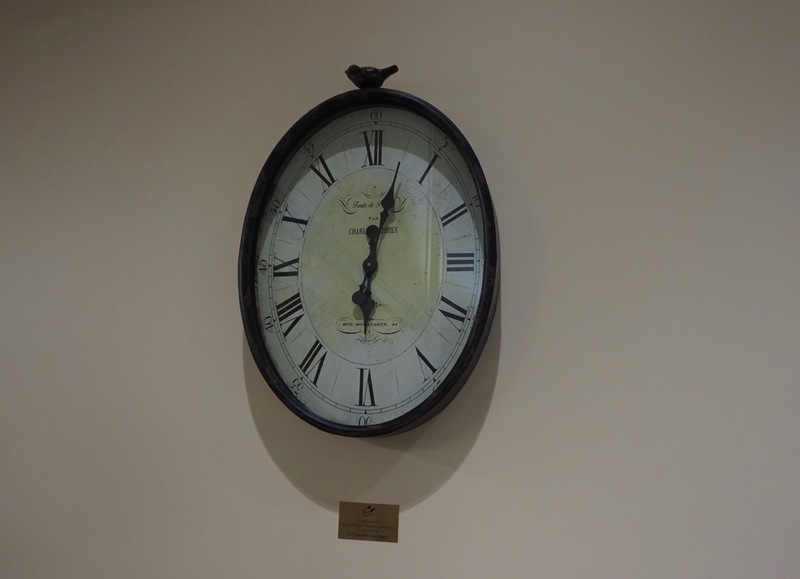 A small portion of the gift was used to purchase a commemorative clock in Query’s name that is now mounted in the Tolland Public Library at 21 Tolland Green. A plaque was recently unveiled by Library Director Barbara Pettijohn and Foundation President Linda Byam with Query’s nephew and godson, George Schiebel of Vernon, present. 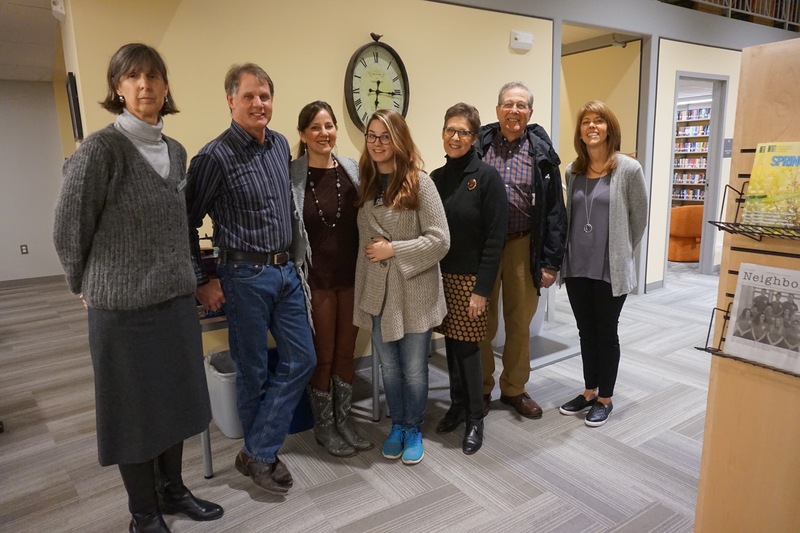 He was joined by his wife, Kimberly, and their daughter-in-law to be Heaven Charpentier as well as Query’s longtime friends Kathy Bach and her husband, Dr. Louis Bach. Query, who died in 2014 at the age of 82, also lovingly left bequests to the Tolland Historical Society and her church, the United Congregational Church of Tolland. Query was a volunteer with the Tolland Library Association, a past moderator of the church and a past member of the Tolland Garden Paths Garden Club and the Tolland Conservation Commission. “Lois left a legacy of strength, vision, service, good works and a commitment to the community that she loved,’’ Kathy Bach said. This entry was posted in News on January 23, 2018 by Kate Farrish.